You are downloading All-in-One installer for 3 most needed PC tools for your Android device. Do you want to reset, reboot, unlock your android phone. For this purpose you need to download and install Android Tools and Drivers. You doesn’t need to download a big SDK for 3 small things. 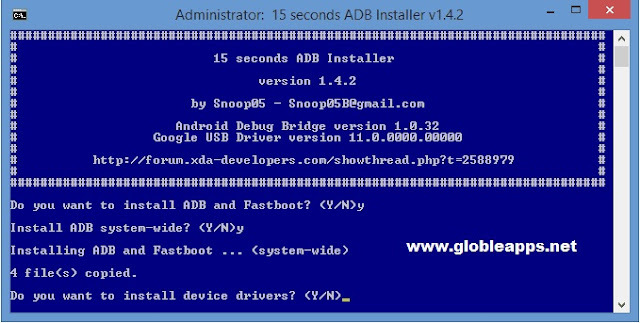 It’s very small and fast installer for android tools and drivers. It’s really small, just run it on your PC and program will guide you step by step and installed in your PC with fully function. And if you have already older Google USB Driver installed on your PC then uninstall it from Control Panel before installing new one. 6. Wait for a while – finished!